A number of professionals have helped me with the police procedural and forensic aspects, and I would especially like to thank Detective Inspector Kevin Robinson, of West Yorkshire Police … for information about the approach to firearms. When Juliet Doyle finds a gun in her daughter’s bedroom, she turns to old friend DCI Alan Banks for advice. But Banks is on a much-needed holiday, and it’s left to DI Annie Cabbot to deal with the removal of the firearm. No one can foresee the operation’s disastrous consequences, or that the Doyles will not be the only family affected. Banks’s daughter Tracy has fallen for the wrong boy. Her flatmate’s boyfriend is attractive, ambitious, and surrounded by an intoxicating air of mystery. He’s also very dangerous. When Tracy warns him the police might be on his tail, he persuades her to go on the run with him, and flattered by his attention, she agrees. Before she knows it, a deadly chase across the country is set in motion. And on his return, unsuspecting of Tracy’s precarious situation, Banks is plunged into his most terrifying, personal case yet. 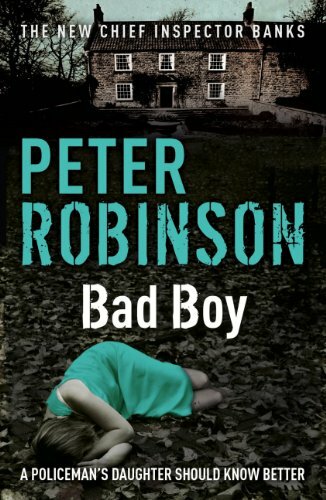 ‘Robinson’s stories are rooted deep in his native Yorkshire, which makes them homely despite the violence . . . Down-to-earth narration gives the story an edge’ (The Oldie).